New year. New typefaces. 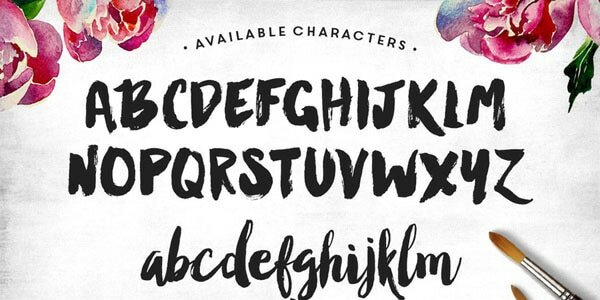 New Free Fonts. Are you looking for a change to your website or app design. A new typeface might just be the answer. And there are so many great options to choose from. Whether you are a fan of a simple sans serif, more traditional modern serif or something with long tails and flourishes, we have a great list of options to try in the coming year. When it comes to typefaces, personal preference has a lot to do with it. 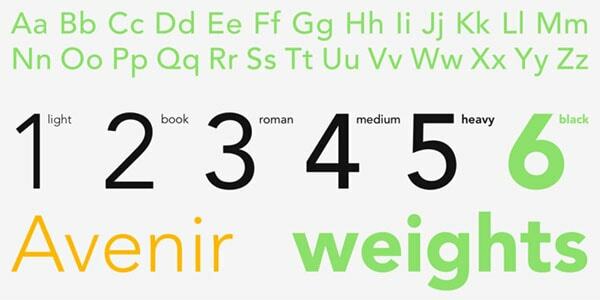 So while this list contains plenty of variation – some popular choices and some lesser-known typefaces – the goal is to help you find a little new type inspiration. The Google options are particularly nice because they are tested and work exceptionally well across platforms and devices (as you might expect), and the platform is easy to use. 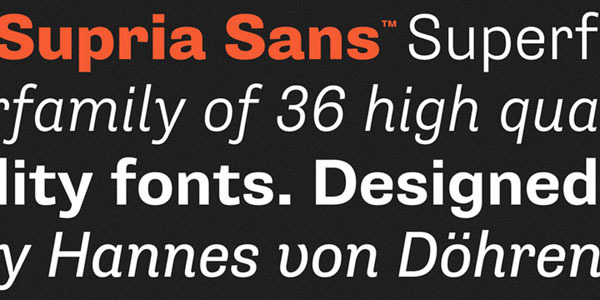 You’ll be hard-pressed to find this many weights in another free typeface. (Although you can donate to the type designer upon download.) The sans serif has a slightly ovular shape with uniform strokes that are easy to read at any size, making this a great multipurpose option for body or display type. 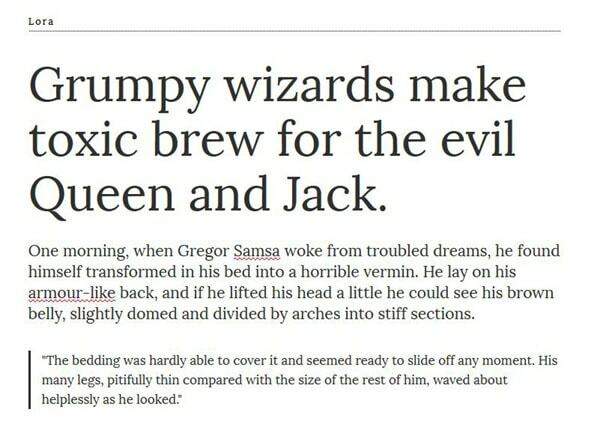 Arvo is a slab serif that’s not too powerful at smaller sizes but can be punched up with all caps at larger sizes. 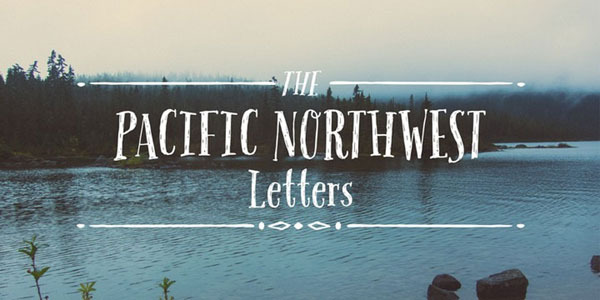 The letters have a nice, rounded form that is simple and striking. 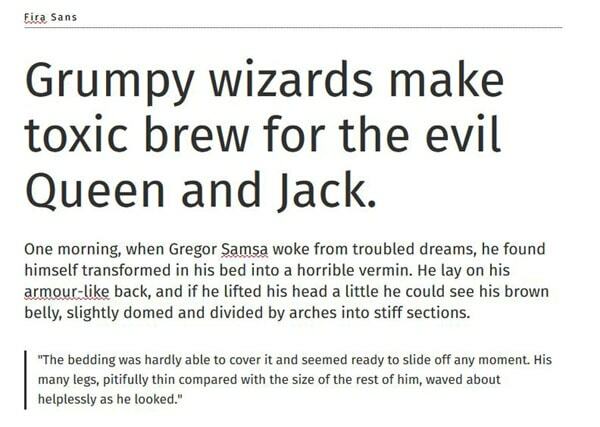 A simple sans serif but with a little more detailed flair than the traditional Helvetica. The letters are a little taller with a more oval shape that feel somewhat casual. 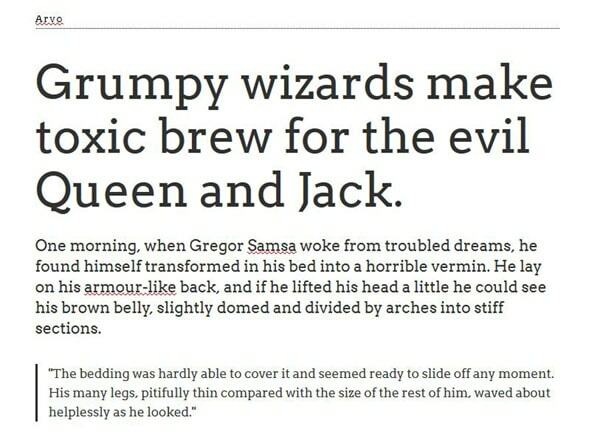 Thanks to widths that range from light to bold, Fira Sans can be used for body text or as a display option. This has been a favorite among web designers for a few years because of its clean lines, style and versatility. It can work for display and smaller text and includes different weights, making it an ideal family for larger projects. 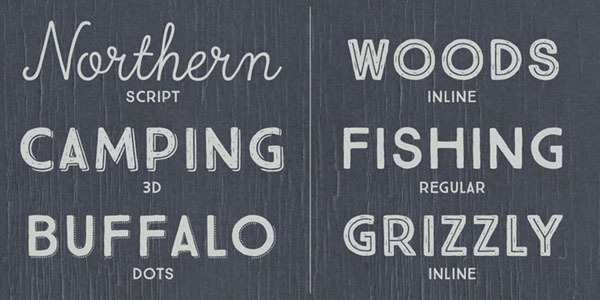 When it comes to display options, this typeface is hard to beat. 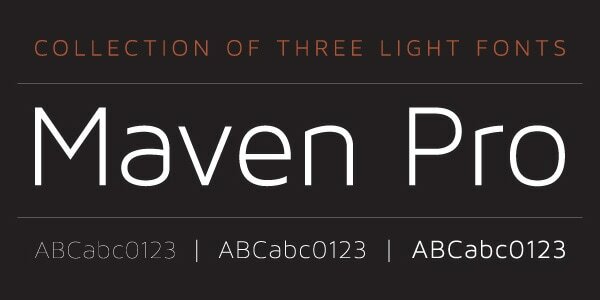 It has nice thick strokes, a tall x-height and highly readable style that works exceptionally well in a variety of uses. 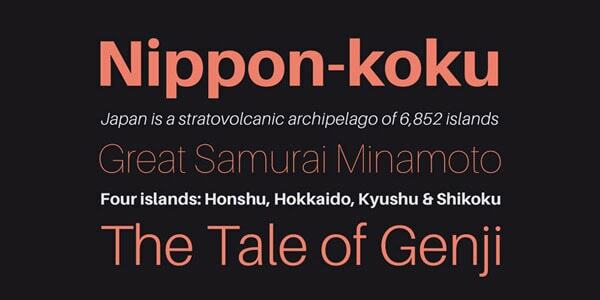 This typeface has been around since 1903 – can you believe it?!? – but has all the clean lines that work with today’s flat and material design styles. A variation of the once popular Lobster, this version is a little lighter than the original. This nice script style includes plenty of ligatures with letters that change shape based on pairings. So every use of this display typeface ends up looking somewhat custom. 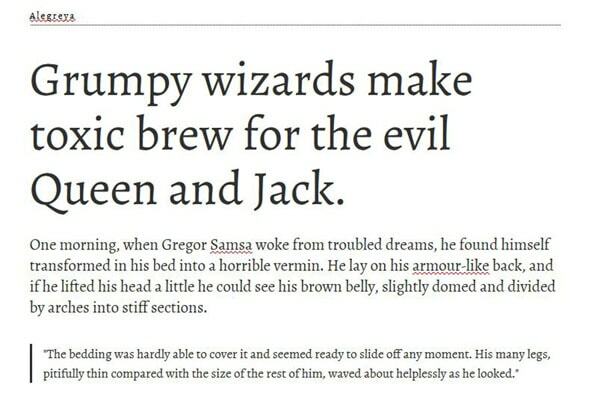 This contemporary serif has roots in calligraphy, and is well-suited for body text styles. The letters tend to take on the feel of their surroundings and can be paired with a number of different display styles, making this a quite versatile typeface. There’s nothing like a simple script to bring attention to the text and this typeface does that masterfully. 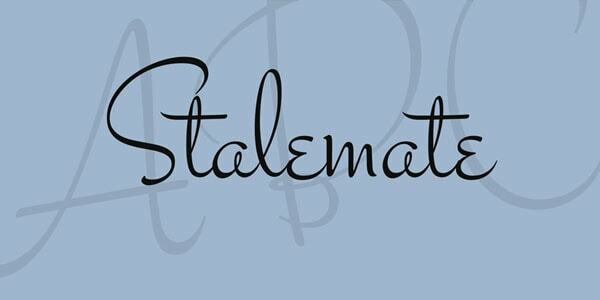 Unlike some other script options, Stalemate is highly readable (particularly at bigger sizes) and has a gender-neutral feel, so that you can use it for almost any project. 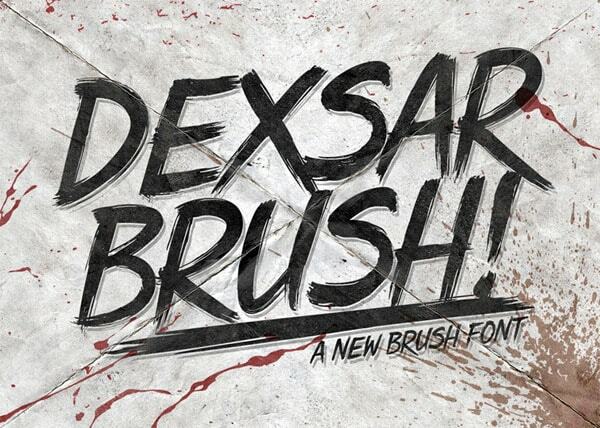 Sometimes you really want something a little more robust and detailed than a free font. That’s where many of the paid options on this list come in. Each of these families has wide usage and many are appropriate for both website projects and corresponding print pieces. Prices range from a few dollars for a single style up to thousands for complete family packages. 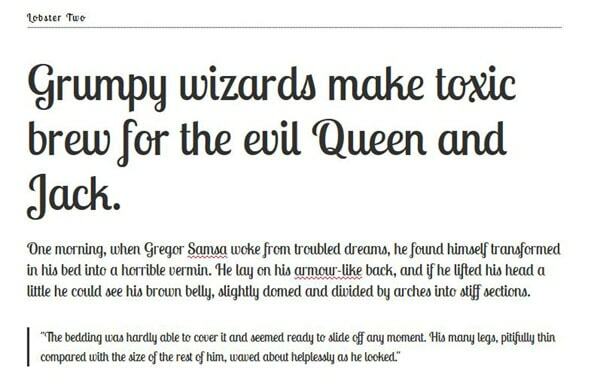 If you love a good slab serif, Karnak Pro is a fabulous option. The old-school typeface was developed in the 1930s but was digitized for web use a few years ago. What’s particularly nice about this slab is that it comes in plenty of weights from a condensed option to a traditional black slab. Did your favorite font not make the list? Share it with us! 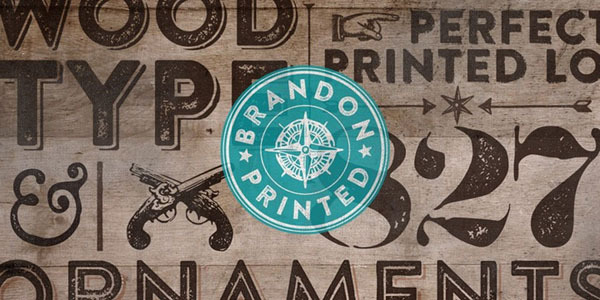 What other typefaces are a vital part of your design process? Share them with us in the comments!